Hi all! Welcome back to another card in my HCS for this year! 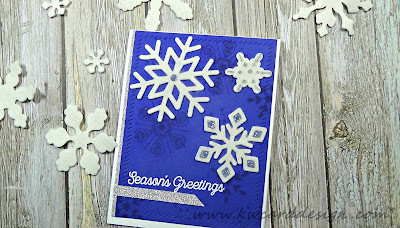 Today, I am playing with die cutting felt and creating this snow flake card! I used some dies from both My Favorite Things, and Lawn Fawn. 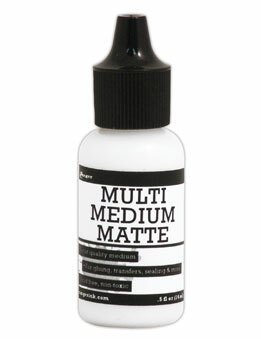 I also created a tone and tone background using the same ink color as my card stock. I love this deep blue purple color. It is one of my favorites!! 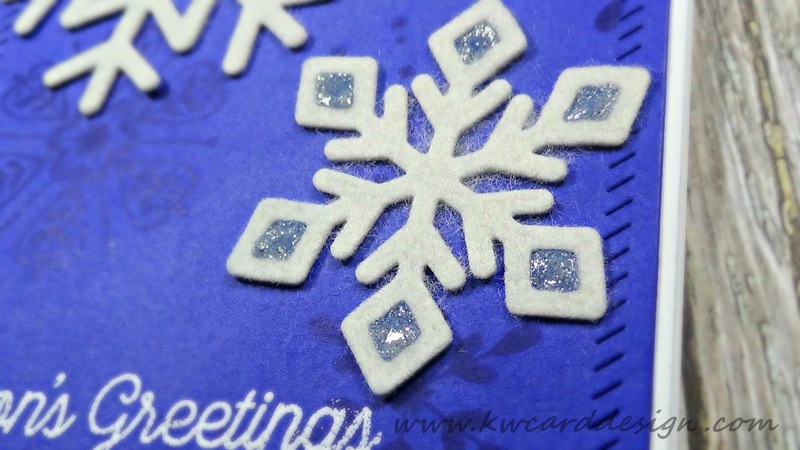 To add some spark and extra interest to my card, I used a strip of silver sparkle card stock left from previous project and adhered it to the left side of my focal panel, and also a strip under my sentiment, which also comes from MFT. 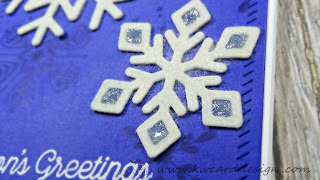 I adhered my snowflakes with my Multi Matte glue from Ranger, and adhered my focal panel to my white card base. 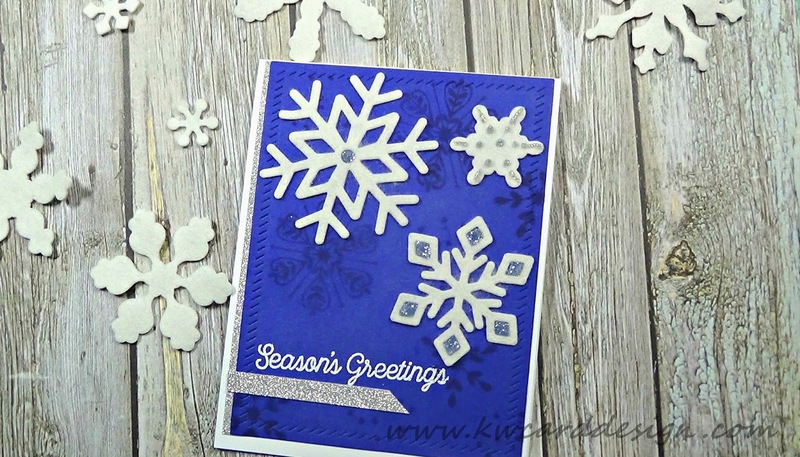 To finish it off, I added some Nuvo drops in MoonDust to the snow flakes. I thank you for stopping by today!! See you soon!